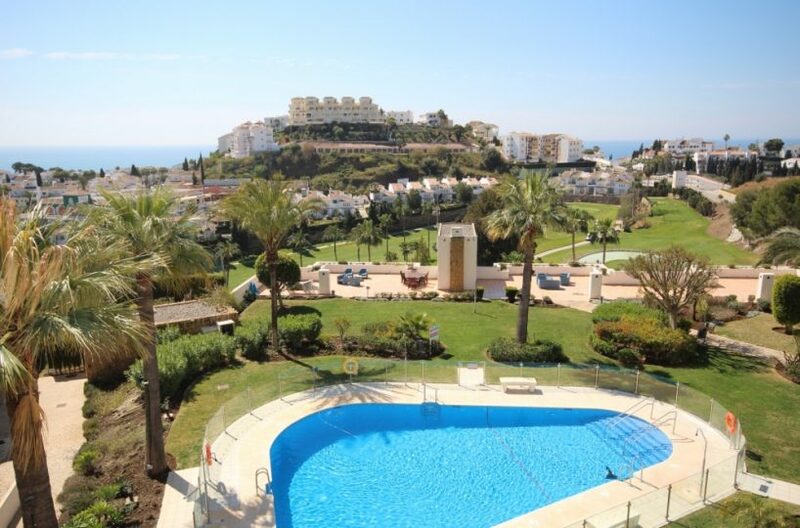 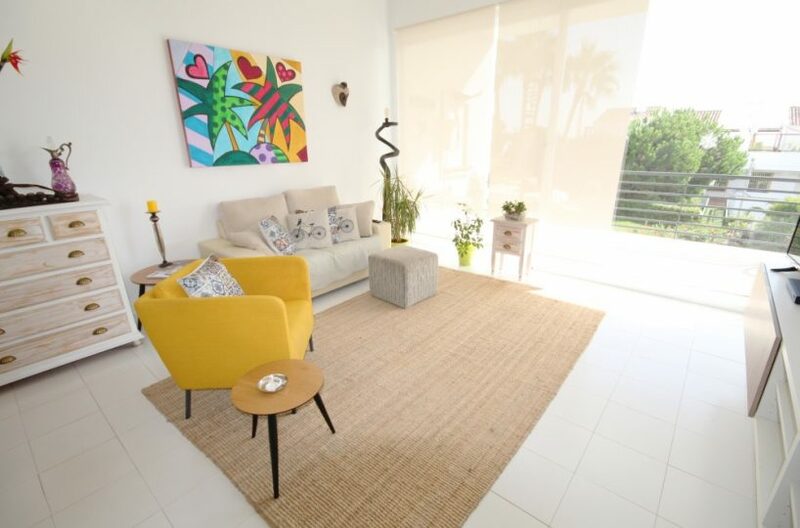 This beautiful, immaculate, larger than average 2 bedroom, south west facing apartment is situated within the exclusive complex of Altos de Miraflores in Riviera del Sol, right next door to the prestigious Miraflores golf club house of Mijas Costa on the Costa del Sol. 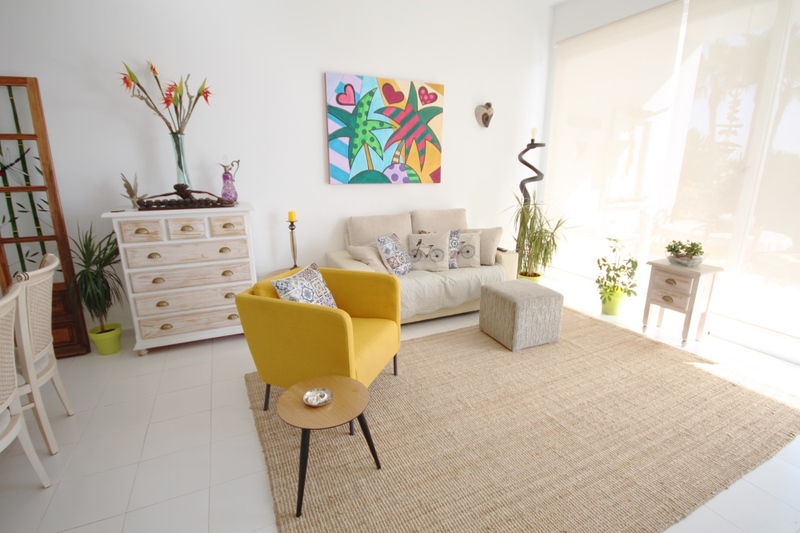 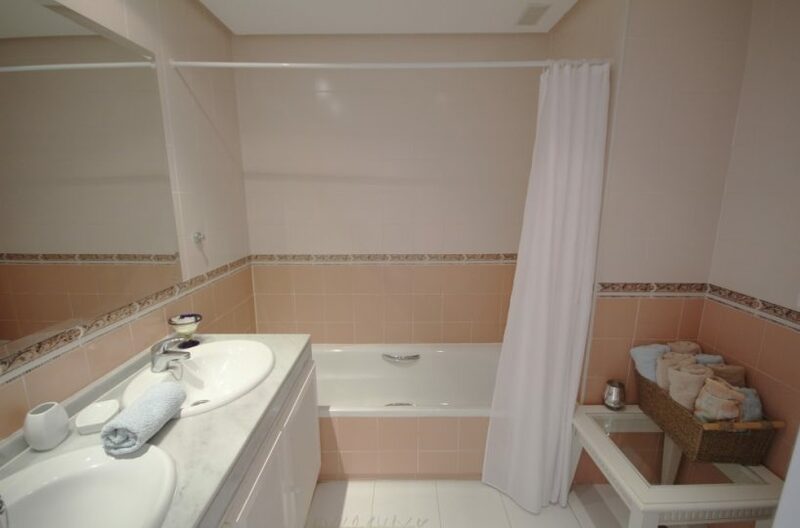 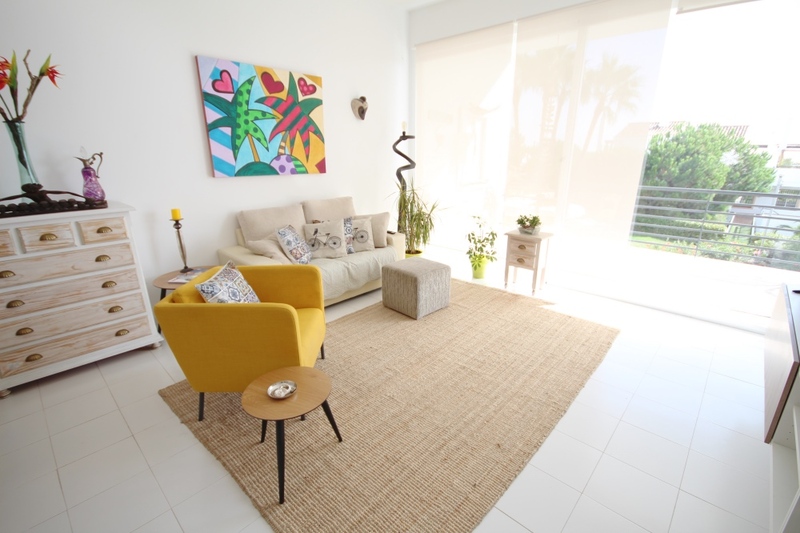 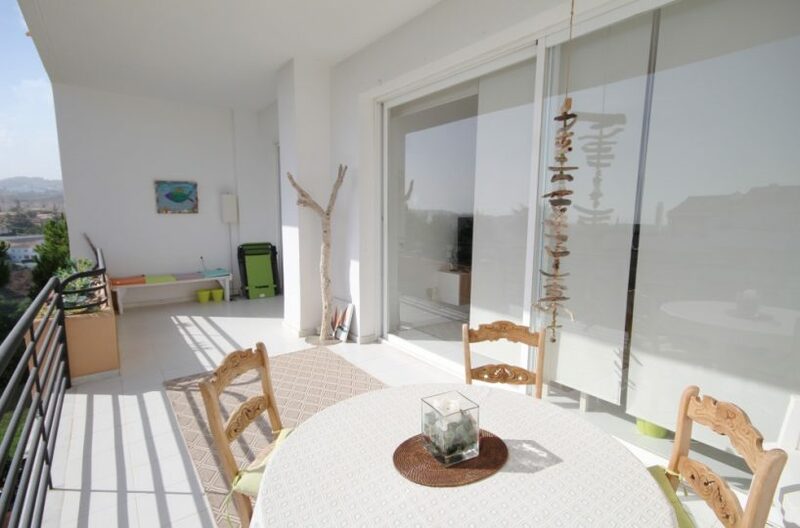 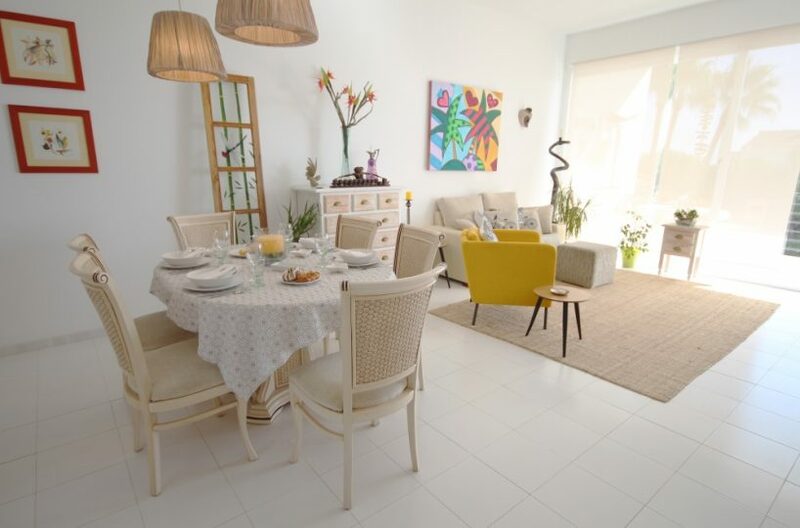 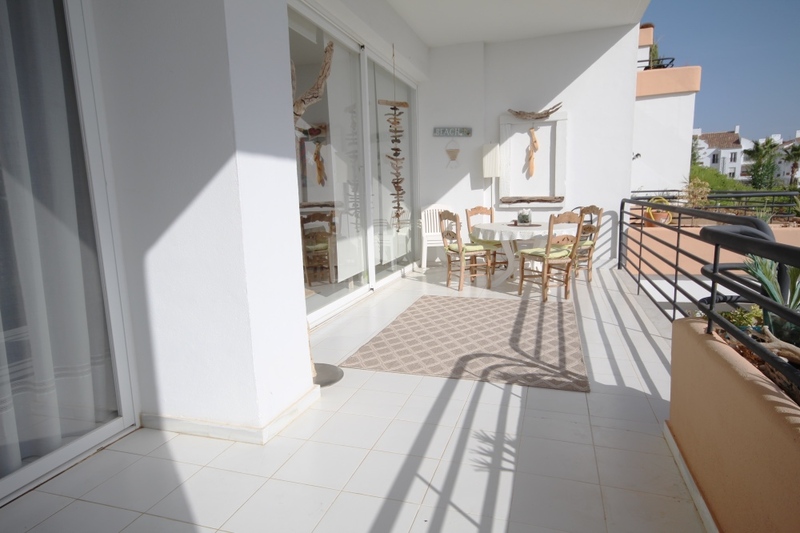 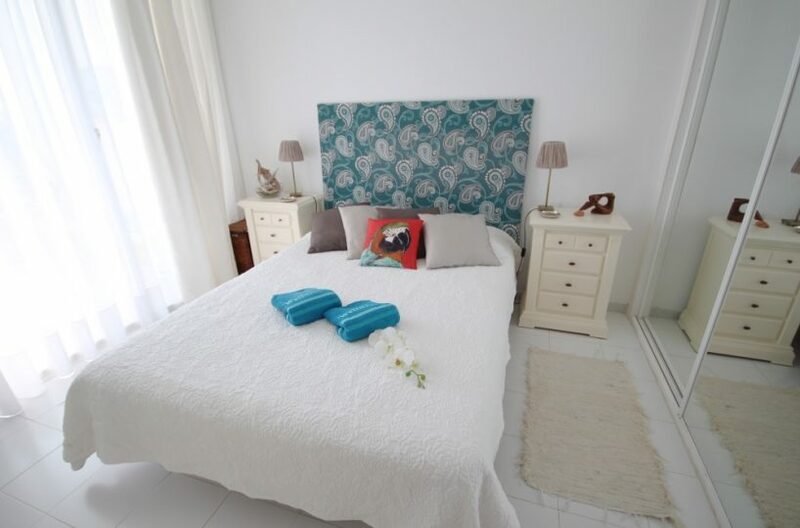 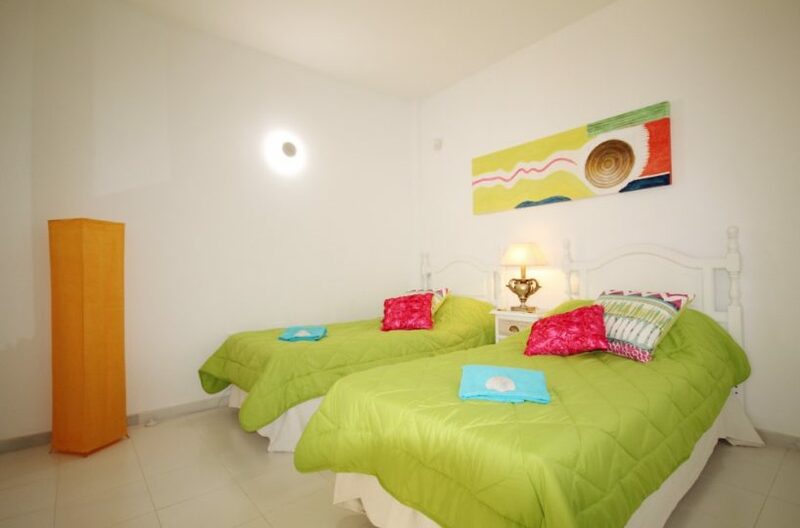 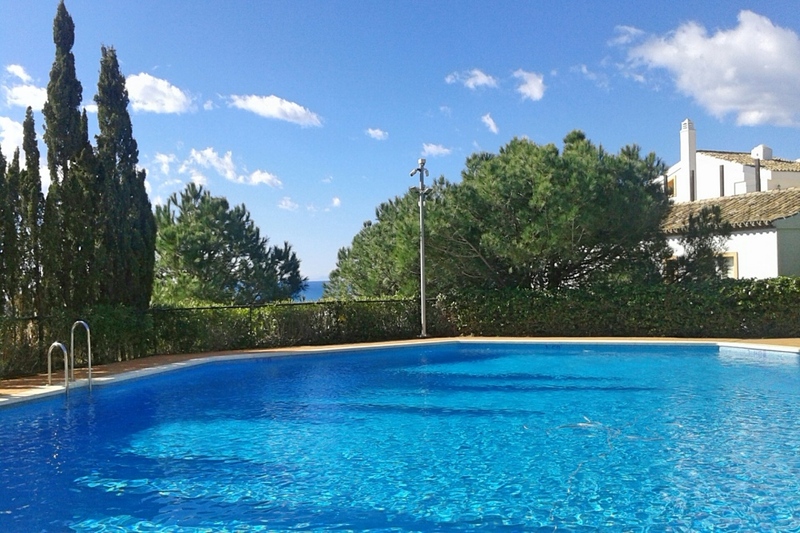 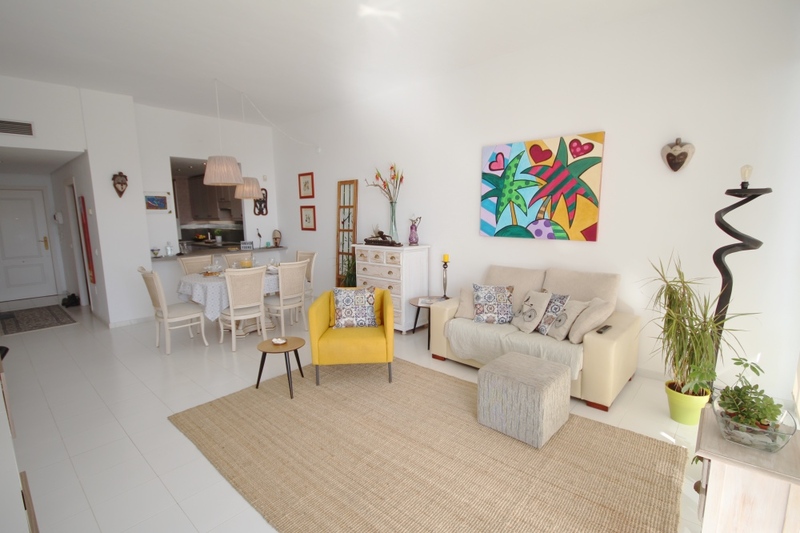 The property consists of a larger than average lounge/diner, a fully fitted kitchen, 2 double bedrooms, 2 bathrooms (1 en suite) and a large terrace with views of the pool and the sea. 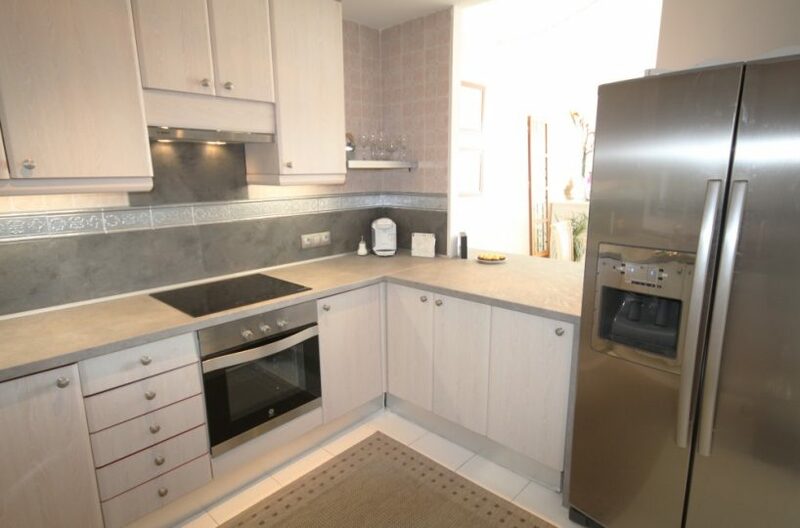 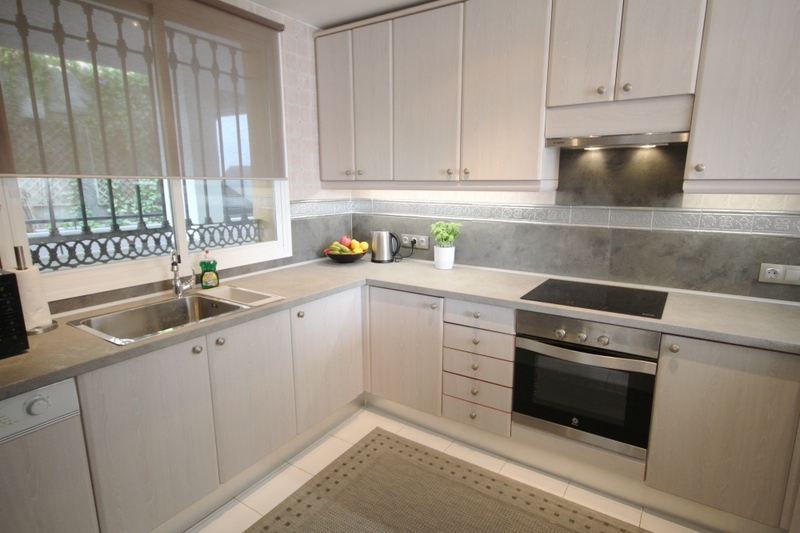 The kitchen is very well designed in a contempory style with an American Fridge/Freezer, built in Dishwasher, electric cooker and glass top hob. The lounge features bright, immaculate porcelain tiles with floor to ceiling glass sliding doors leading out to the large terrace area. 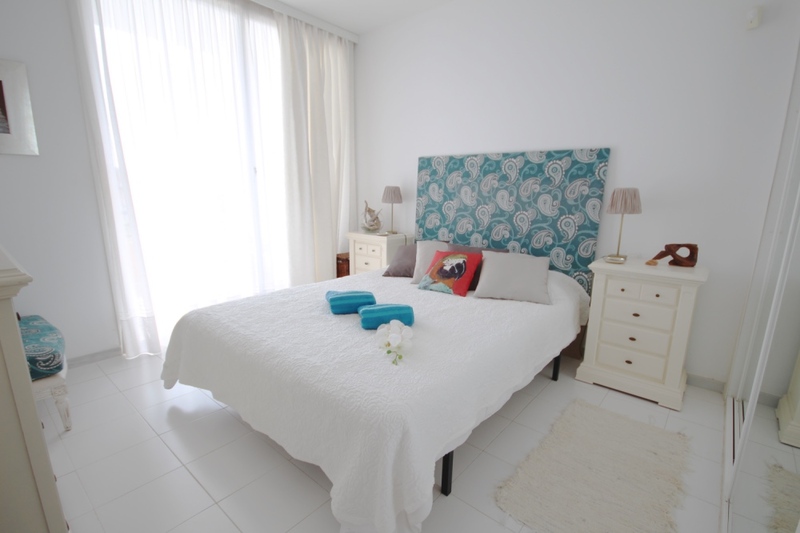 The master bedroom also has floor to ceiling glass sliding doors leading out to the terrace and has its own ensuite bathroom. 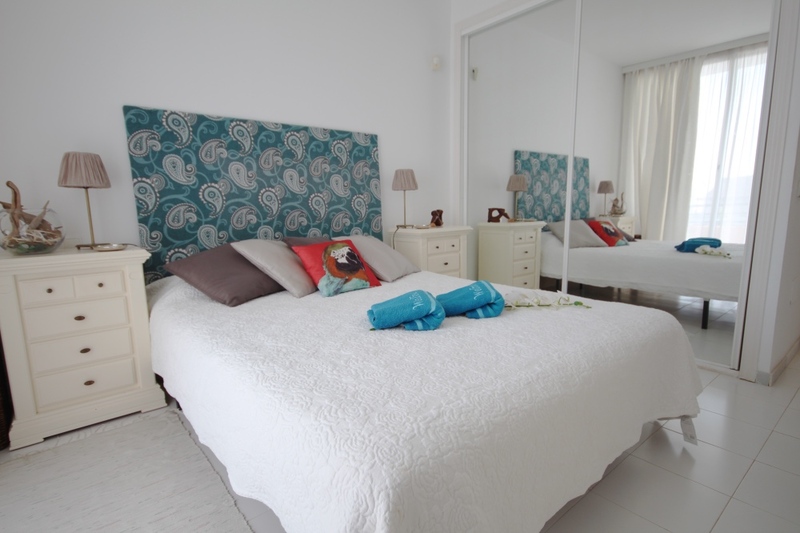 Both bedrooms have mirror sliding wardrobes and porcelain tiled flooring. 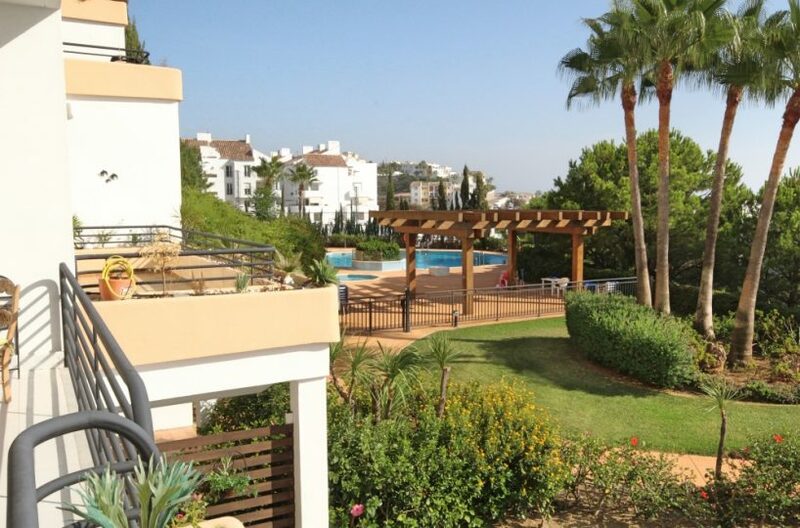 The patio area is south west facing with views out to the sea, to the left is one of the 3 pools and to the right the golf course is situated. 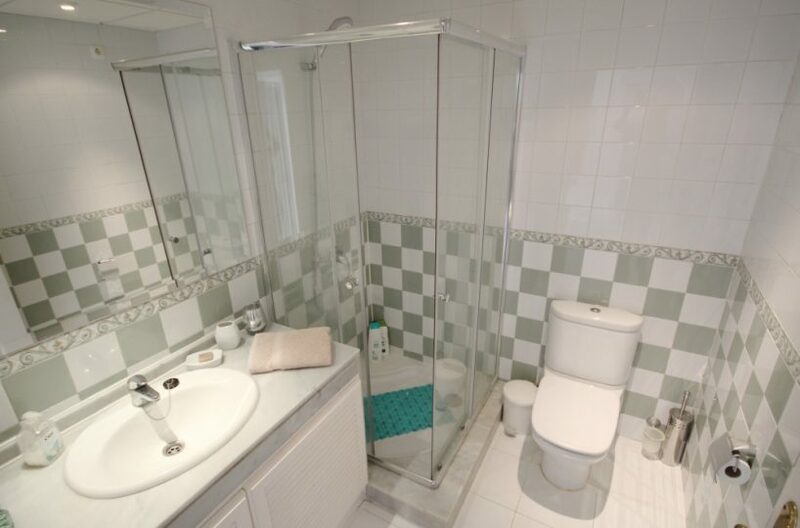 Tiled throughtout and finished to a high standard with pre installed air con (H&C), video entry phone, alarm, this apartment boasts all those ‘little extras’ that you would expect from a high class property. 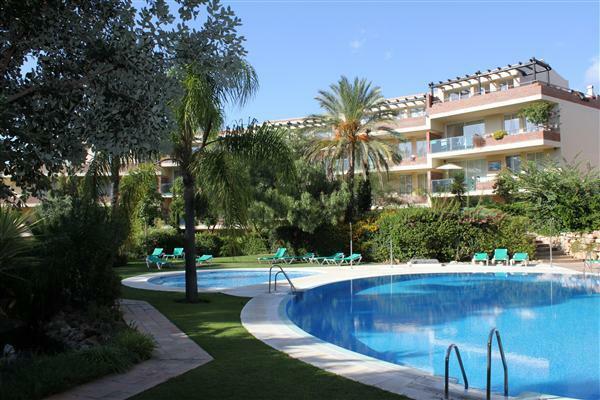 The community areas include beautifully maintained garden areas and 3 large pools, 2 of which have recently been newly renovated. 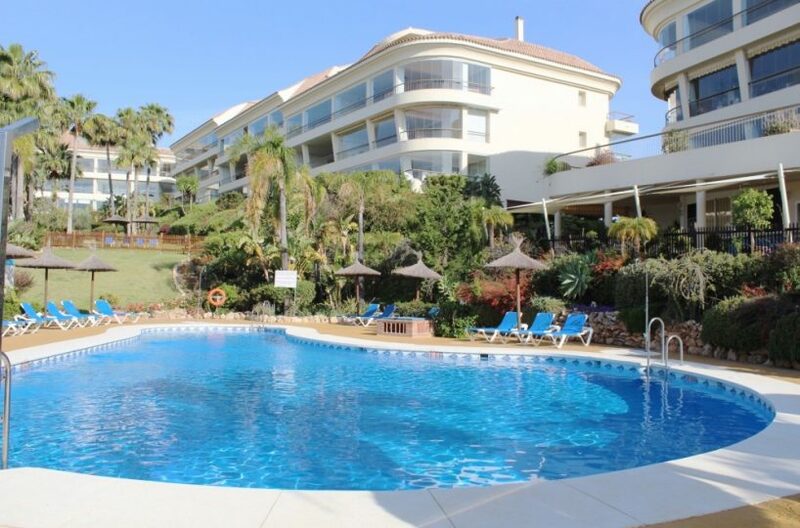 The complex is gated with 24-h CCTV Cameras and security control, elevators to each level and also included within the community is 100MB fiberoptic broadband and international TV channels supplied by Avatel in Calahonda. 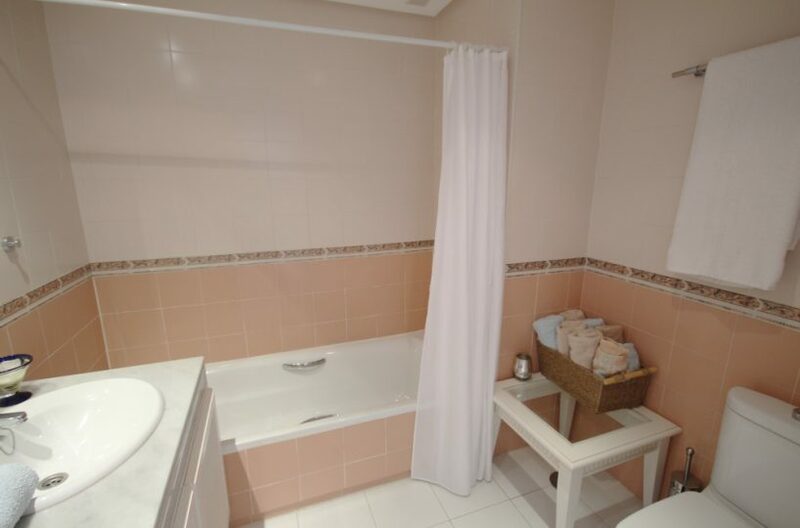 This community really is very well run and maintained. 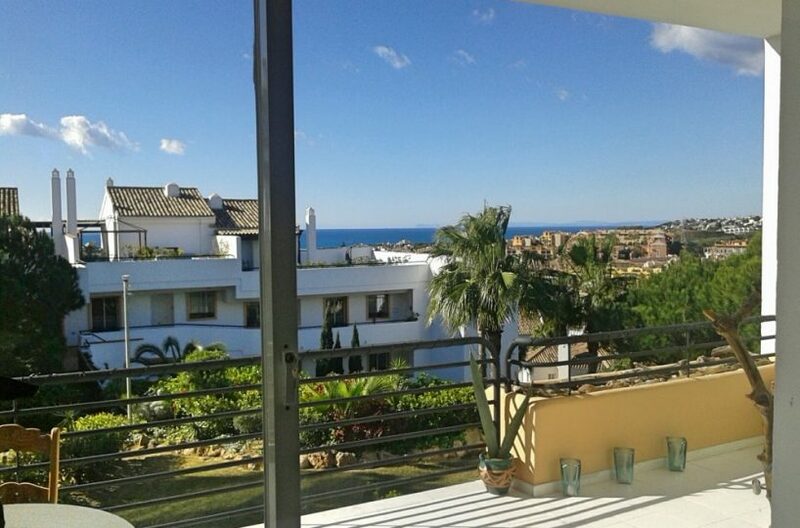 Only a few minutes drive / walk to the shops, restaurants and beaches of Riviera del Sol, Miraflores, Calahonda, Torrenueva and La Cala de Mijas and a stones throw from Miraflores golf course.